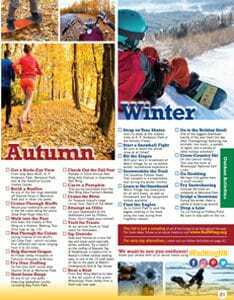 Enjoy the natural beauty of Red Wing year round with outdoor activities ranging from intense to more leisurely fun. Located on the Mississippi River and surrounded by bluffs, we are in nature’s playground. On the water: if you like paddling or power boats, the Mississippi River is a blast, no matter how you float. Grab your kayak, canoe or SUP and paddle your way into the less-traveled backwaters for peaceful adventures as you get up close to the bountiful wildlife. Launch your boat at one of the marinas in town and make your way to fishing hot spots, sandbars or beaches where other water-lovers congregate or just drop an anchor and bask in the sun. The Red Wing Water Park is the place to slip and slide your way through the summer. Peddle power: Enjoy the peace and quiet of the scenic 19.7 miles Cannon Valley Trail and the Goodhue Pioneer State Trail. If dirt trails are your thing, check out Memorial Park in Red Wing or take the chairlift up and ride down the hills down at the new Welch Village Mountain Bike Park. Take a swing: the views at the area golf courses make your time on the course enjoyable even if you’re hitting well over par. Try out all 72+ holes at between Red Wing Golf Course, Mississippi National Golf Links or Mount Frontenac Golf Course for the ultimate golf getaway. Hiking: The breathtaking views and the uphill climbs on the bluffs are sure to get your heart pumping. Barn Bluff is only accessible by foot and provides expansive views of the Mississippi River from both the East and West outlooks. The Midland trail provides a peaceful stroll through natural grasses and local wildflowers. If you’re looking for easy access to the top of a bluff, Memorial Park located on Sorin’s Bluff is accessible by car. Drive up the winding road to several overlook areas with views of the city and Mississippi River, picnic spots, the disc golf course, hiking and mountain biking trails. 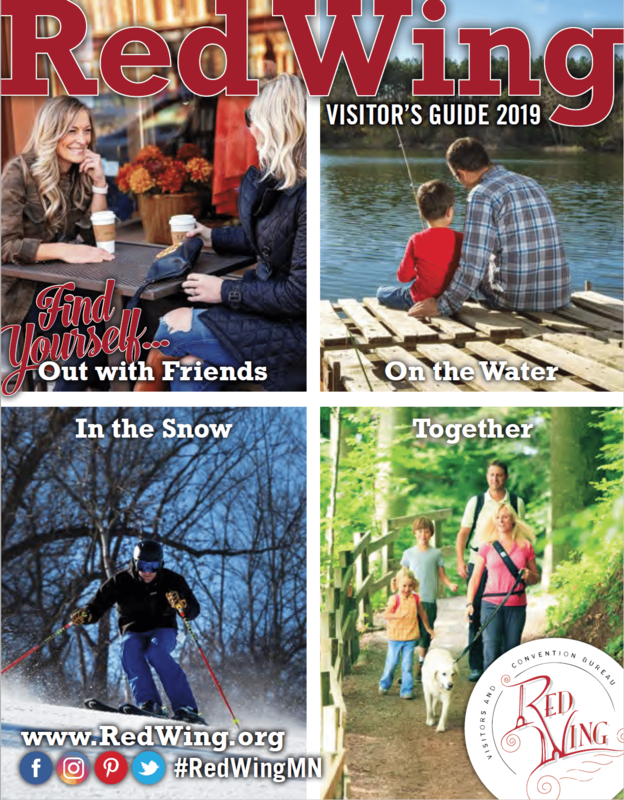 Fun in the snow: Red Wing is a great destination in all season. Snow lovers can enjoy downhill skiing and snowboarding at Welch Village Ski and Snowboard Area. With live music on weekends, and activities and events for youth and adults, Red Wing is your winter destination. Our location on the Mississippi River on the MN/WI border provides a unique opportunity for open water fishing and ice fishing. 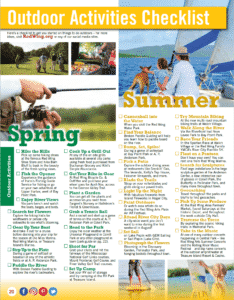 Grab your fishing shack or boat and enjoy the year-round fishing. Sit back and take it all in: Relax, take a stroll, have a picnic, or find a comfy spot at one of our locally owned restaurants for a taste of local hospitality. Unwind on an outdoor patio or at concerts in the park in the summer, or in front of a cozy fireplace or at a pool in the winter. Red Wing is a wonderful place to slow down and connect with yourself or your travel companions. Explore at your own pace; book a stay at one of our historic B&B’s, St. James hotel or other properties and enjoy the onsite amenities so you never have to leave the property.